Some time ago, I bought a TL-WR703N WiFi router for less than 15€. 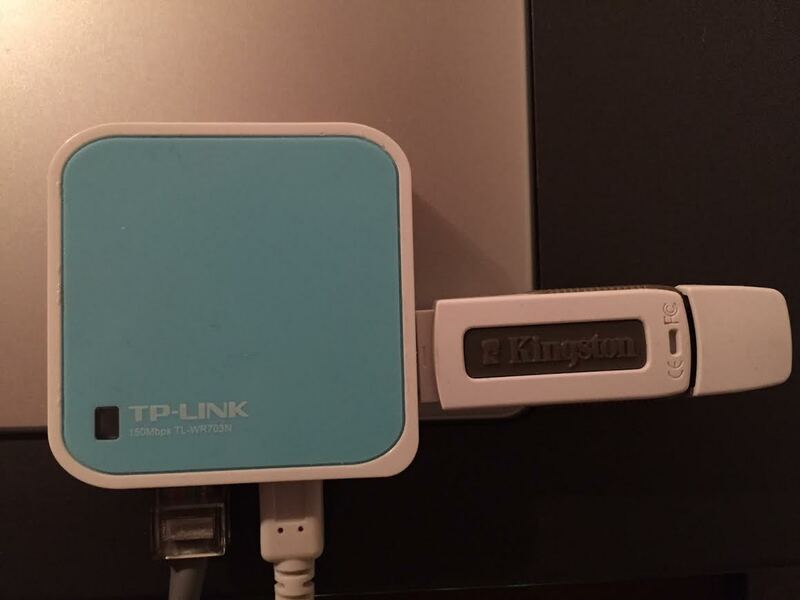 It came with a Chinese firmware that I overwrote with an OpenWRT image and connected to my ADSL router. First thing I did was setting up an AP and disable my router's WiFi network since its antenna was surprisingly better and my old router doesn't support WiFi n. So my devices at home would connect to the WR703N WiFi network which was bridged with the ethernet interface to the ADSL router. 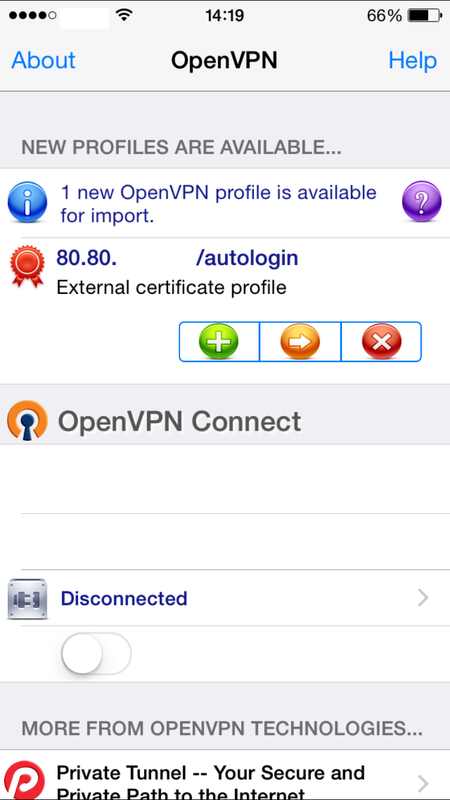 After this introduction, I'll explain how to set up an OpenVPN server to browse securely anywhere from your phone which is especially useful if you're using free or untrusted wifi networks out there. At the moment of writing, I'm on the latest OpenWRT version which is Attitude Adjustment 12.09, r36088. Also, feel free to change the certificate public data such as the common name, country, etc. Now generate the DH parameters and the server and client certificates signed by the previous CA. 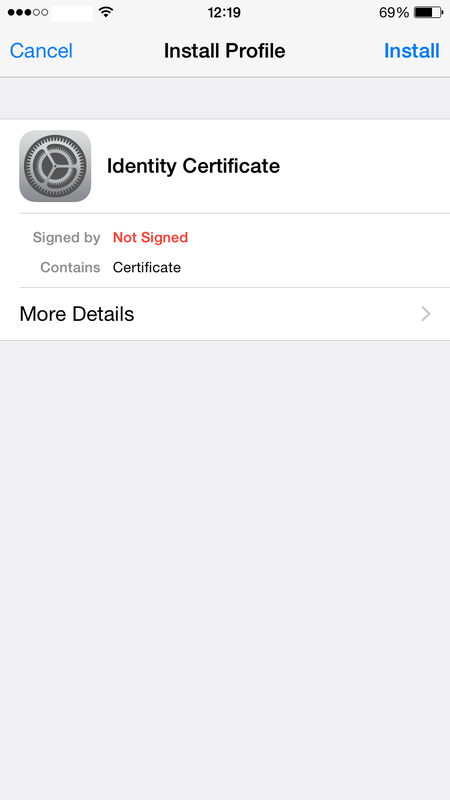 The client certificate is not needed on the server side but we've generated it inside the WR703N and must be copied onto the client (in this case, my iPhone). We've generated the client certificate (daniiphone) in PKCS12 format which includes both the public certificate and the private key. It's really important to protect it with a password because you're gonna send it to your e-mail in order to import it from the OpenVPN iOS app. At the time of creating it, you'll be prompted to enter a password. I've configured the OpenVPN server as follows using uci (you can do it by editing /etc/config/openvpn file). These settings tell the server to listen on UDP port 1194 (which needs to be forwarded in your ADSL router to the WR703N IP address) and sets the VPN network at 10.8.0.0/24 (clients will be assigned an IP address in this subnet). The last line creates a default route to my lan network 192.168.1.0/24 and shall be replaced with your own configuration. Now we need to setup the iPhone (it should work on Android phones or any computer running OpenVPN) to connect to our VPN server. First we need to transfer the .p12 file created in the first step and import it to the phone from an e-mail attachment. Make sure you specify your public IP address and your CA certificate inside the configuration. This CA is needed because we have used a self-signed CA which is not trusted by the OS so if we didn't include this certificate within the configuration, the OpenVPN client would not trust the certificate presented by the server during the TLS negotiation. 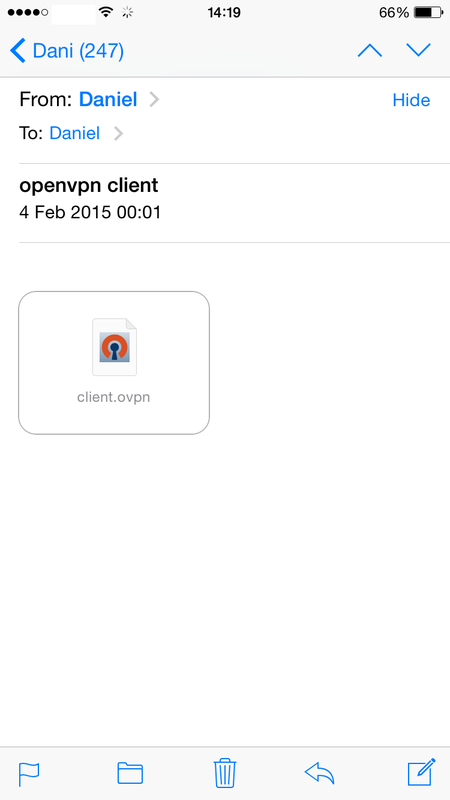 This .OVPN file has to be imported from an e-mail attachment directly into the OpenVNP app. Once imported, click on the green "Add" button to associate the previous certificate and its private key to this profile. In your configuration you should be able to see your remote IP address (or hostname) instead of "80.80." which I've edited in the screenshots below. Now, your iPhone is connected to your home network and all the traffic will go through your ADSL connection. Anyone trying to eavesdrop on the WiFi network will only be able to see tons of encrypted traffic. It's very important that you keep the CA private key secret in order to avoid "man-in-the-middle" attacks, as well as protect the .p12 file when you send it over to your phone.